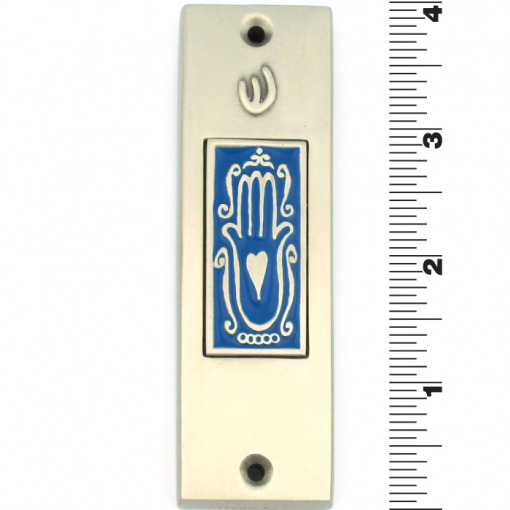 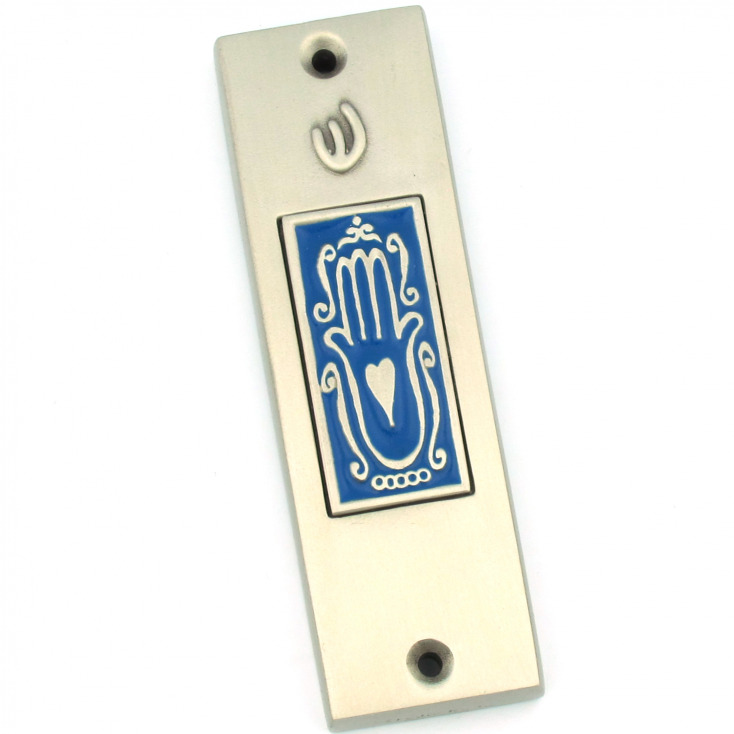 Mix humor with simplicity, add a softened heart and a bit of irony and top it off with a lot of creative energy and you?ll have this Hamsa in Blue Mezuzah case. 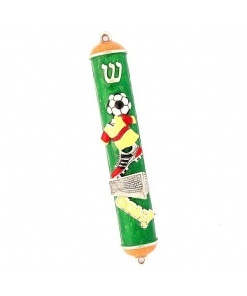 Studio RoJa’s playful Mezuzot are the brainchild of graphic designer Jami Miyamoto. 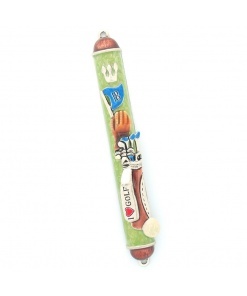 For the past 16 years her mission has been to create fun and funky pieces that bring a bit of humor and spice to our everyday lives. 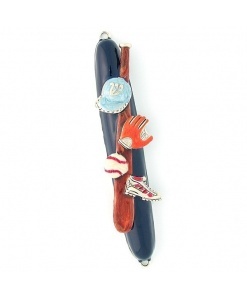 Her work is inspired by pop culture and the commonplace objects and phrases that delight in the simple truths of life today. 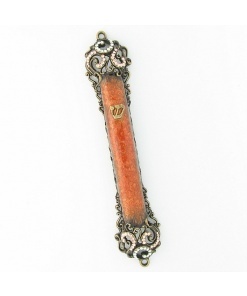 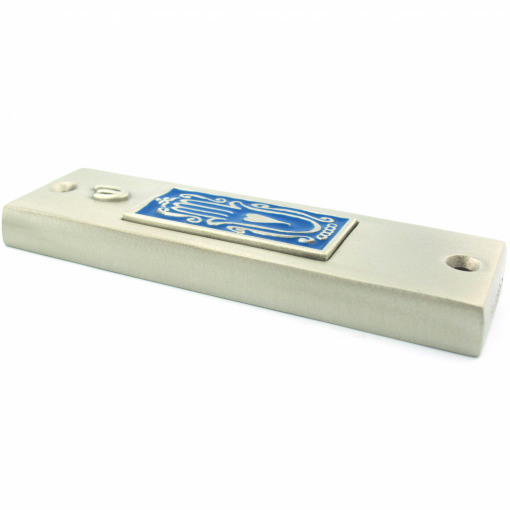 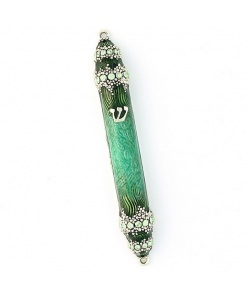 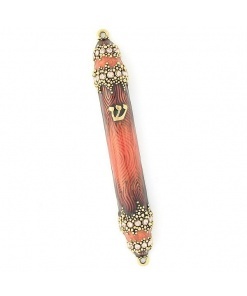 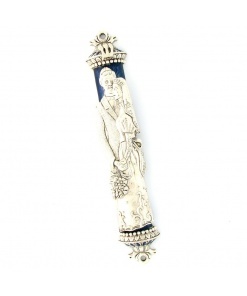 For a gift with spiritual significance, this beautifully handcrafted pewter mezuzah makes a wonderful gift .